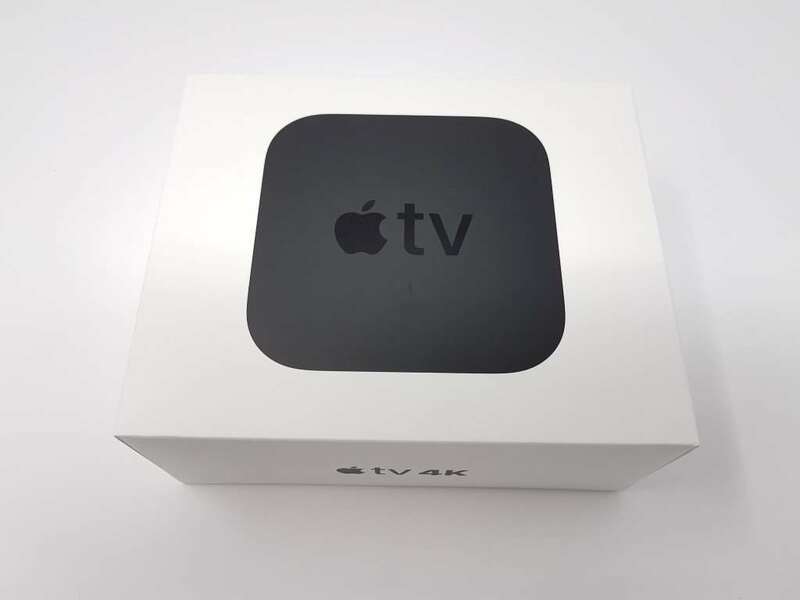 Apple TV 4K arrived in a familiar (for an Apple product) white cardboard box. 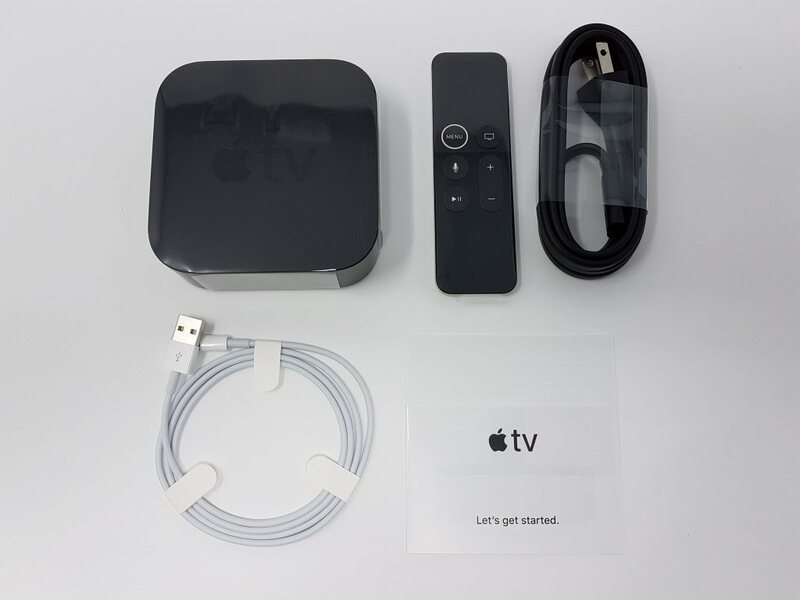 Inside you will find the TV box itself, the wireless Siri remote, the main power cable, an Apple Lightning to USB Cable (for charging the remote) and basic documentation. Each part is wrapped in a very nice manner, typical Apple product. 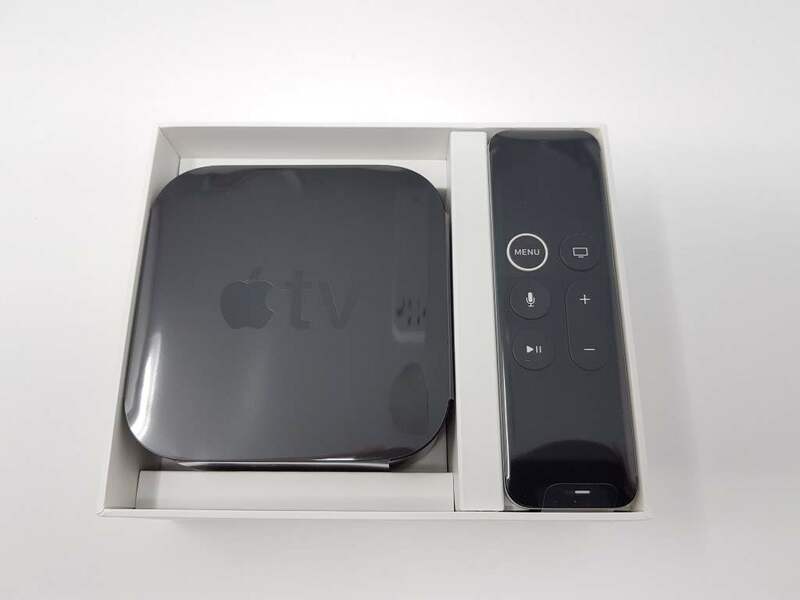 The specifications are A-grade for a TV box. 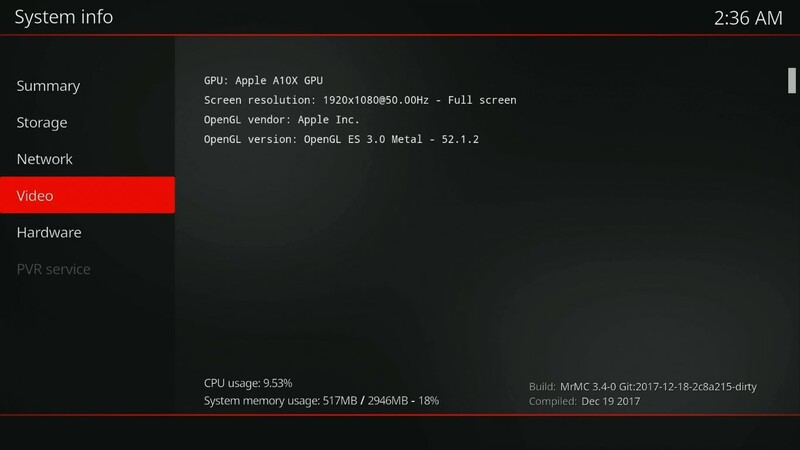 The SoC (system on chip) is based on Apple’s powerful three-core ARM based A10X Fusion processor clocked at 2.37GHz (PowerVR GT7600 handles all 3D graphic tasks) accompanied by 3GB of RAM. The internal ROM comes in two sizes depending from the model. We are reviewing the top end one with 64GB of ROM (there is a cheaper 32GB version as well). 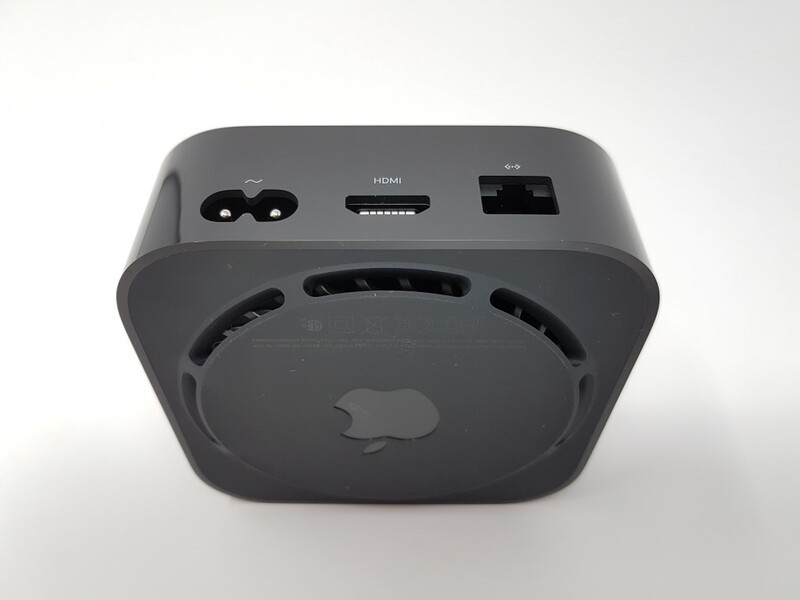 Connectivity is minimal (as expected for an Apple device) with a wired LAN port, an HDMI out (2.0a) and support of Wi-Fi and BT wireless connections. Apple is making up for the obvious omissions (USB ports) with the highest level of support for each one of the aforementioned. Wired LAN port is Gigabit, via the HDMI out you get 4K60fps with HDR and Dolby Vision, the Wi-Fi module is an excellent Dual Band ac performer and Bluetooth arrives on its latest version (5.0). 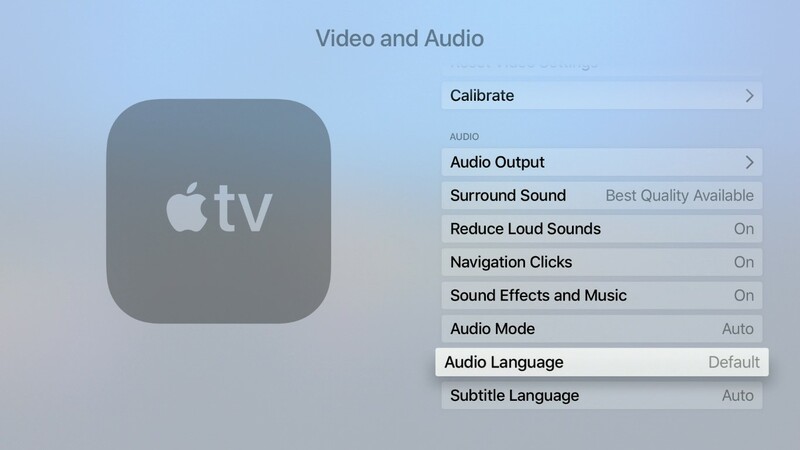 Furthermore, Apple added Dolby ATMOS support for all streaming services (where available). One can only expect amazing performance judging from the specifications list. 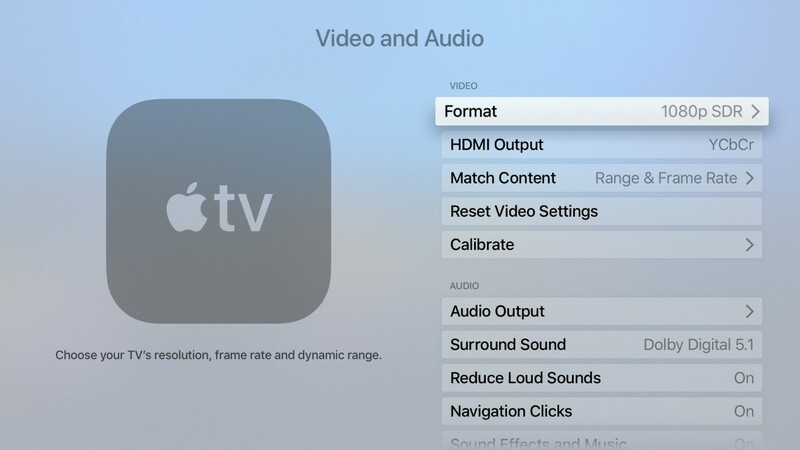 Of course, Apple TV 4K is powered by TVOS software. 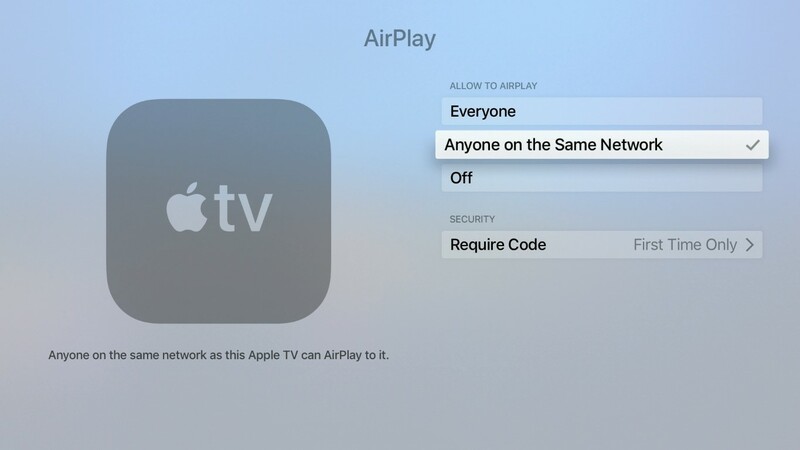 Nothing changed from previous 2015’s Apple TV 4 (non 4K version). 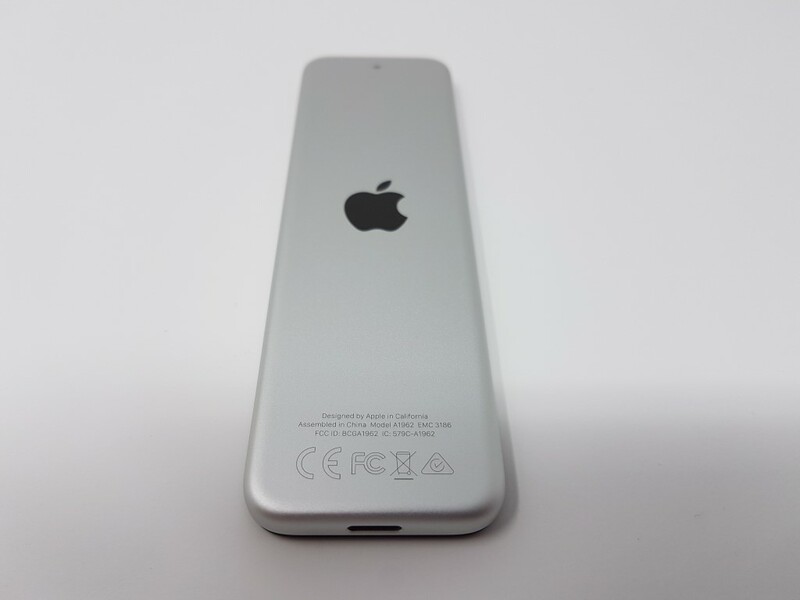 The housing remained the high quality glossy plastic one (a fingerprint magnet). The design is still very attractive although we believe that the time has come for a slimmer device. This could be handled easily if Apple decides to not include the entire power supply circuit within the cell. There is proper ventilation underneath and despite the device getting warm at times (makes sense for such a powerful device), we never experienced any type of lags or freezes due to bad thermal dissipation design. All wired connections (power, HDMI, LAN) are located at the back for better cable management. 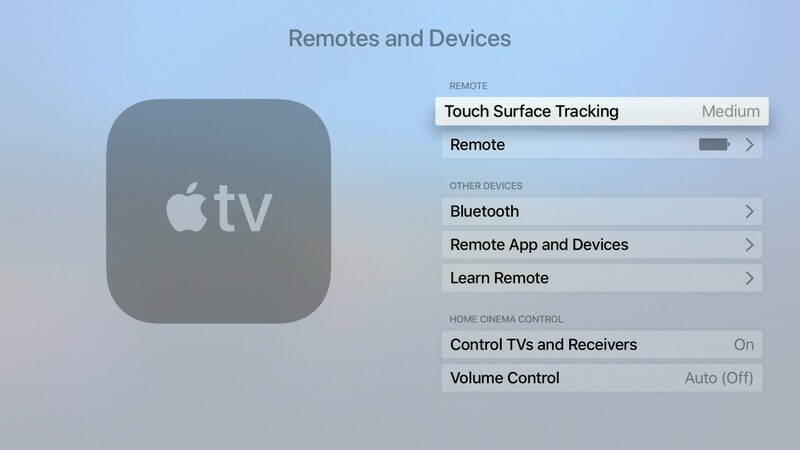 The remote is probably the best one in its category. All aluminum, with only the absolutely necessary buttons and a generous touchpad area at the top. 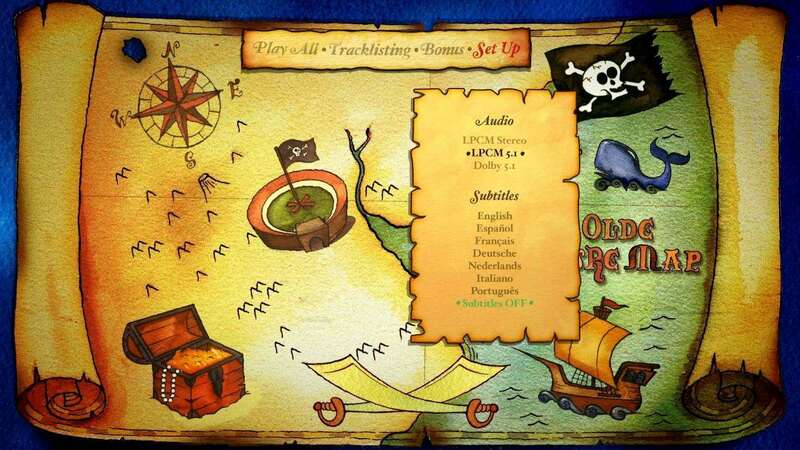 The on screen navigation is carried out with gentle swipes and touches on the touchpad. It may take a while to comply with its sensitivity and speed but there are related profiles in the menu settings to choose the one that suits you the best. During our tests, the only time we found the use of the touchpad a bit awkward was when typing long usernames or passwords. Using your iPhone or Ipad instead is an option that will relieve a lot of users. 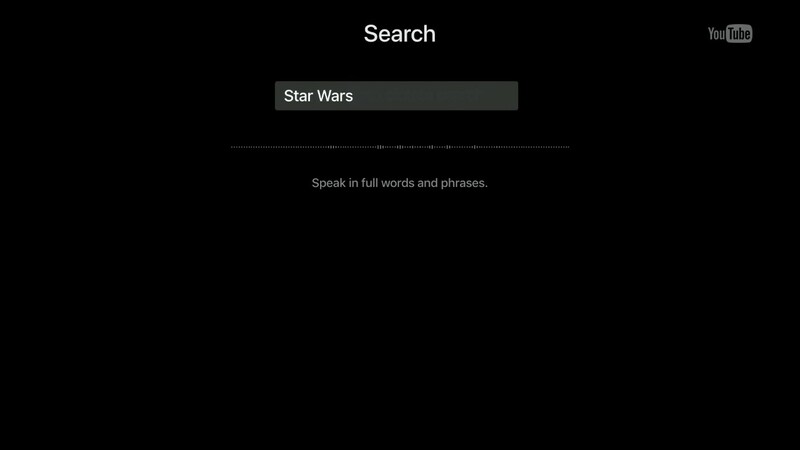 Siri lovers will enjoy its voice search and related commands. Even better if you can combine it with other Apple products. 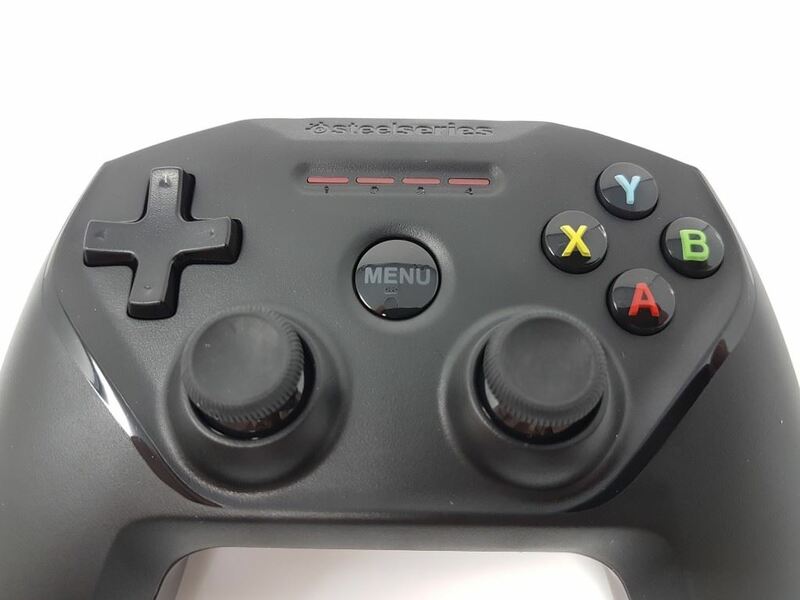 Overall, the build quality and design of both main unit and remote, is top notch. 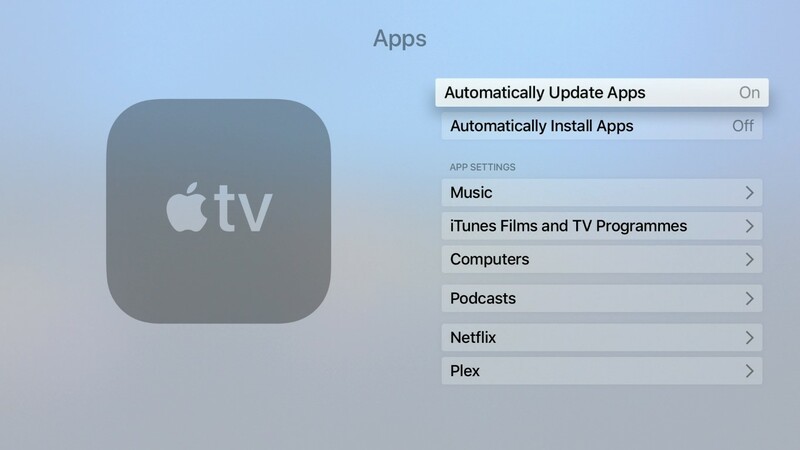 Again, nothing major has changed from the previous generation of TVOS user interface. The device arrives only with basic Apple applications and options. 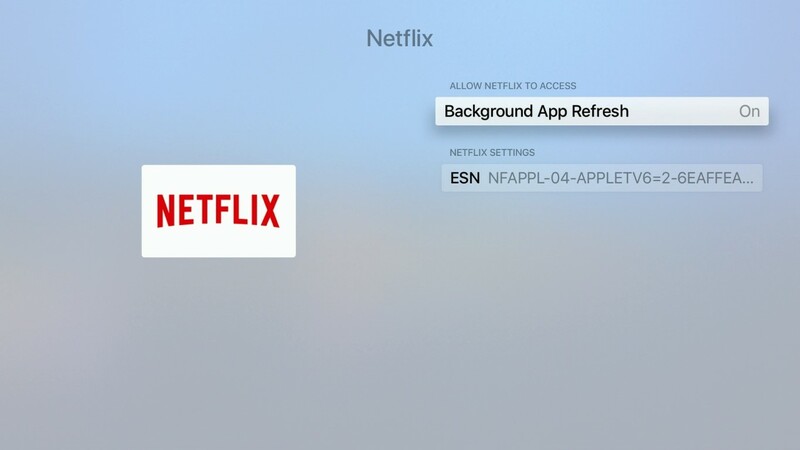 Once you enter your Apple account credentials you will be able to download all essential applications and games. The layout is simple. 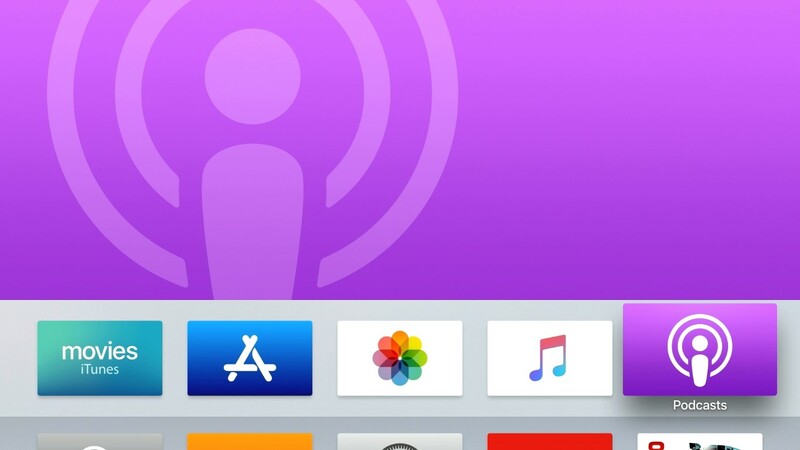 On the first line of icons you can find the system integrated Apple ecosystem icons (Movies, Store, Photos, Music and Podcasts), with each one of them having live interaction with the available area at the top of your screen (showing previews and suggestions from each category). The other rows of icons correspond to the installed applications. 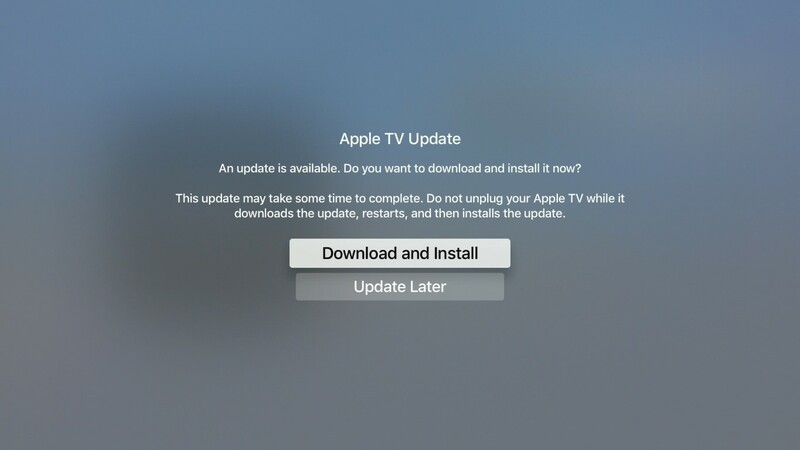 Browsing the operating systems is lighting fast but make sure you have installed the latest update first that fixes some lags of the earlier firmware versions. The total user interface experience is simple and eye-catching. 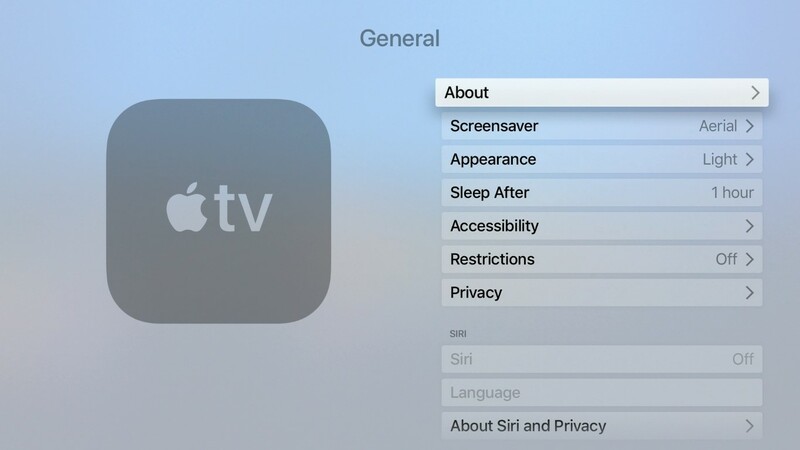 The settings menu is again very straightforward. All options are easy to find and setting up your device should be easy and fast. Video options are comprehensive and include all the latest generation options (4K/HDR, Auto frame rate and color gamut options). 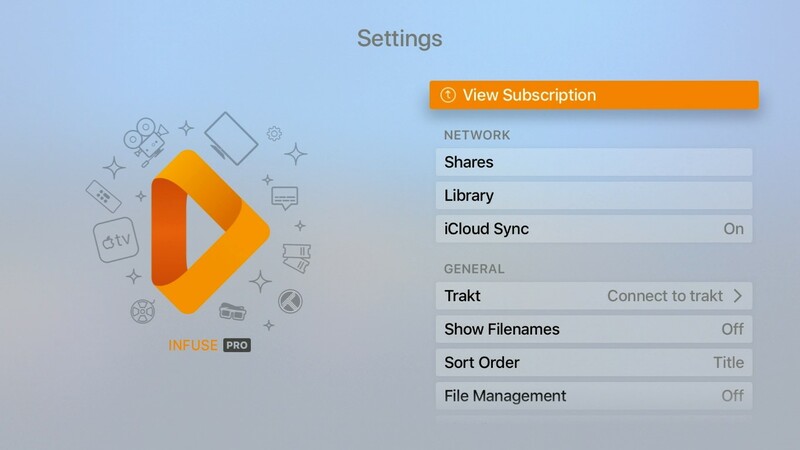 In case you aren’t familiar with all of them, rest assured that the Apple TV 4K will automatically set the optimal ones on your behalf. 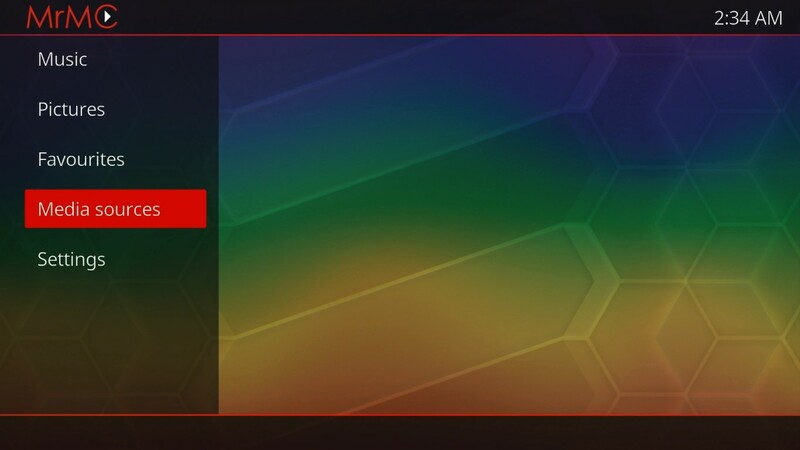 Local content can’t be accessed with any pre-installed applications. 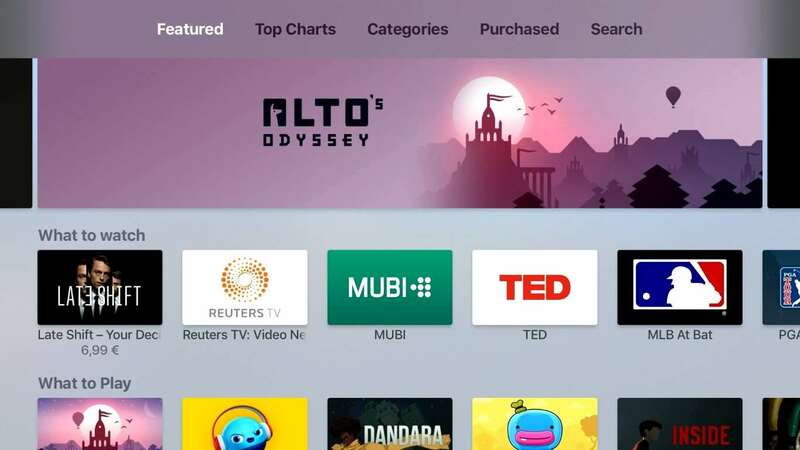 The best applications that App Store has to offer in terms of video playback are Infuse Pro and MrMC. In order to have full functionality, you will have to purchase them, since the free versions are limiting the experience (especially MrMC). 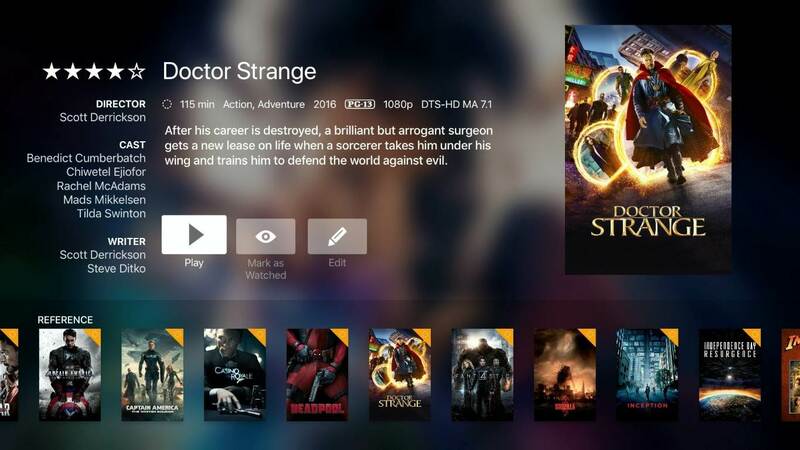 Infuse Pro is advertising HD Audio Support, great wall movie cover art and information in addition to the full 4K/HDR experience. 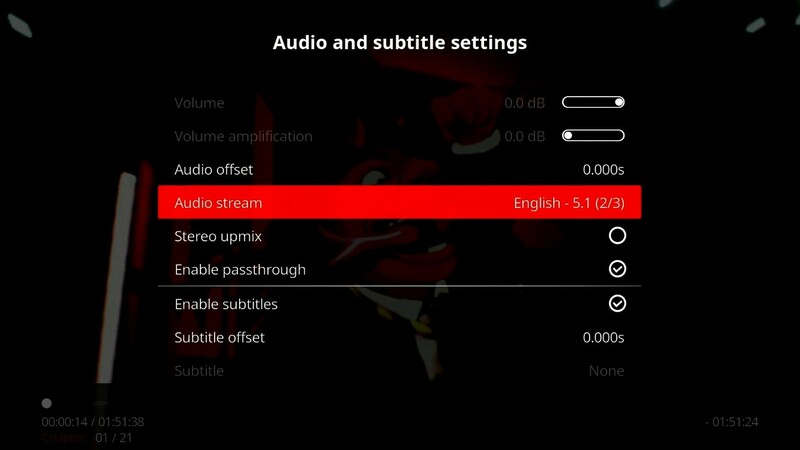 That is partially true since HD Audio bit-streaming is outputted as multichannel PCM. Supposedly uncompressed and equal to the original sound mix. Dolby Atmos and DTS X tracks lose their height information during the processing. Maximum output is LPCM 7.1. 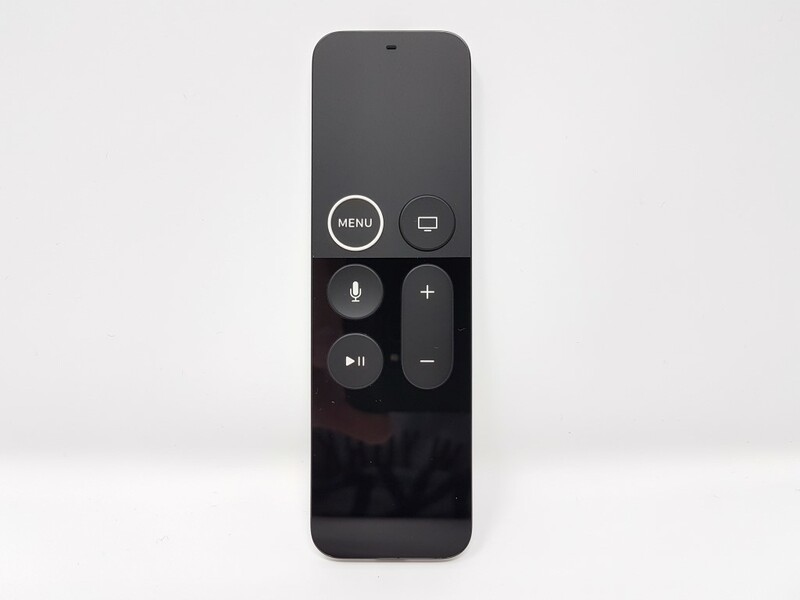 During playback, a swipe down gesture on the remote’s touchpad will reveal all available video, audio and subtitle options. Movie poster wall though is a different experience. It does not store any meta-data on your hard drives; the scanning is live and fortunately amazingly fast. With the exceptions of ones with bad labeling, all movies were properly recognized. 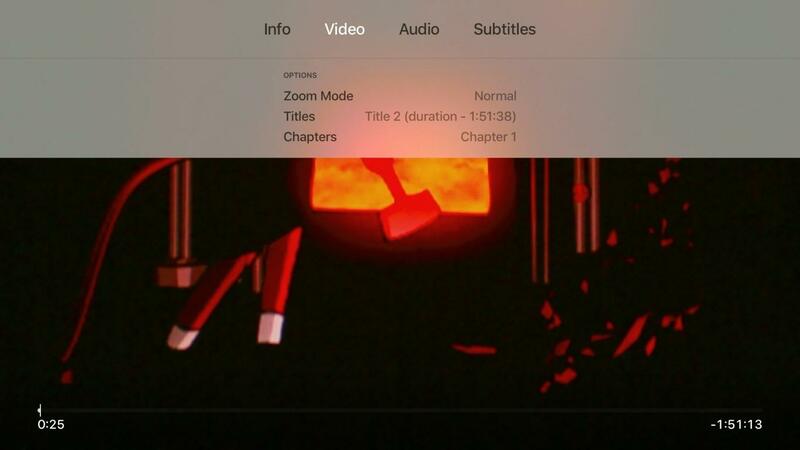 Pressing on each movie poster will lead you to another screen with movie’s information and the playback option. 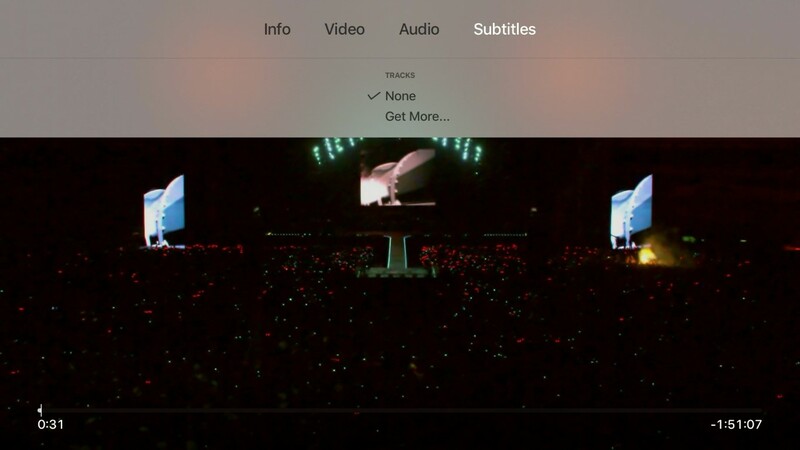 Overall, Infuse Pro is a very elegantly designed video player. 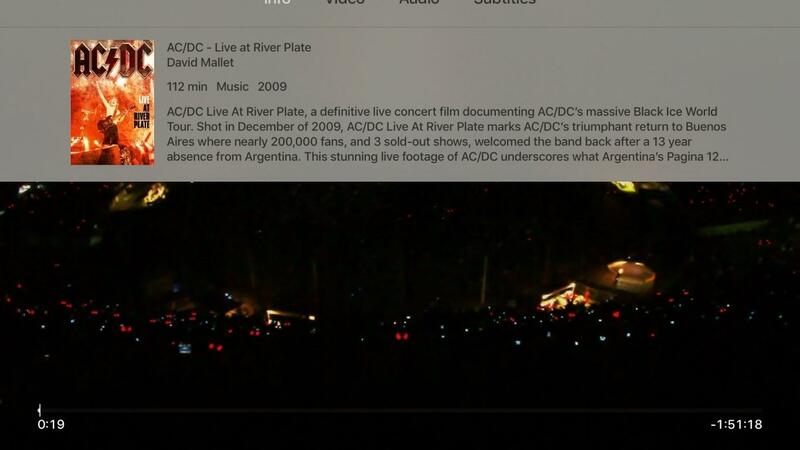 Could have easily been Apple’s basic video player. 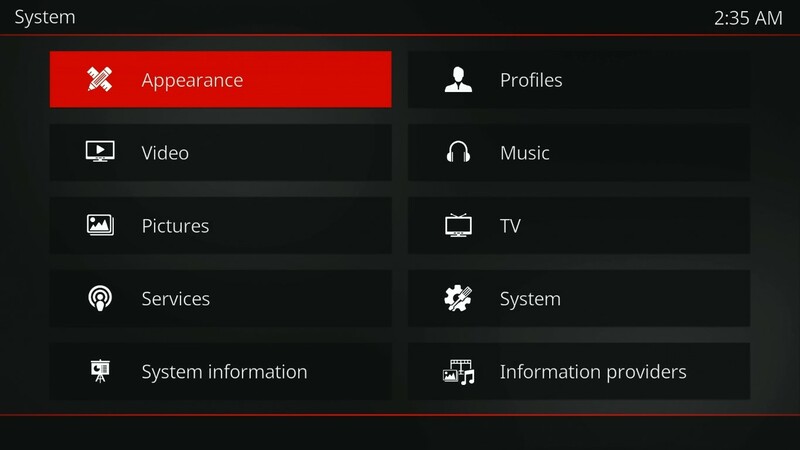 MrMC is basically a stripped down version KODI. 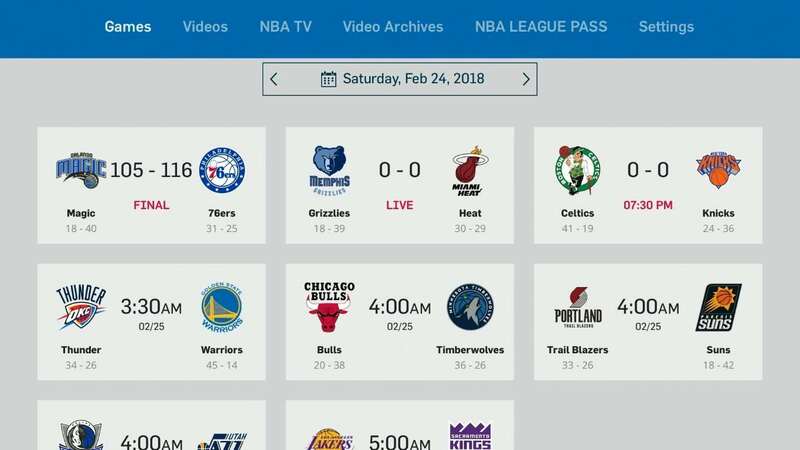 Menu layout and settings are exactly the same and if you have used it before on an Android device, you will feel right at home from the start. 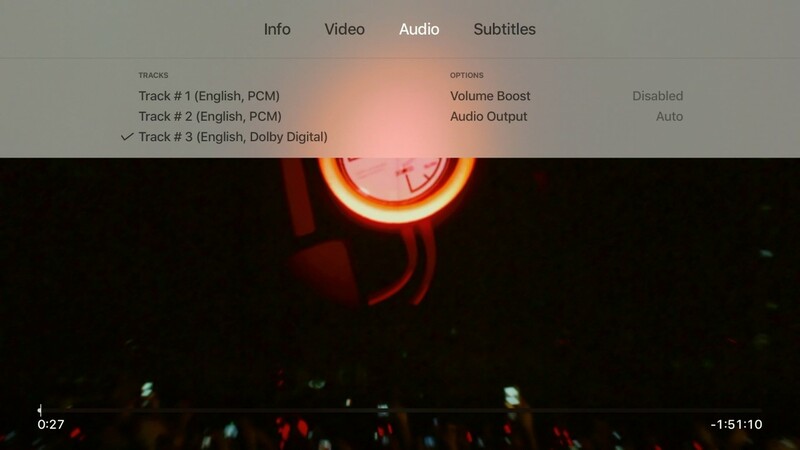 The interface is not as beautiful as in Infuse Pro, but playback is equally good and it gains extra points for being able to playback full Blu Ray menus (you will experience some incompatibilities here and there). You can only get Dolby Digital out from your original multichannel source tracks. 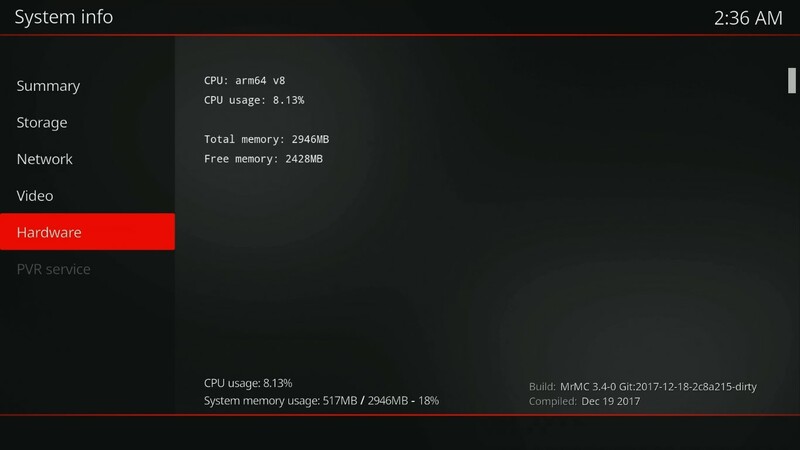 We left video playback performance for last since both Infuse Pro and MrMC are equally good. High bit-rate 4K/HEVC/HDR files had perfect playback both from our server and NAS storage. Even demanding scenes had exemplary behavior with not a single frame skipped. Apple was kind enough to add auto frame rate support in the latest firmware updates which worked fine in both applications. 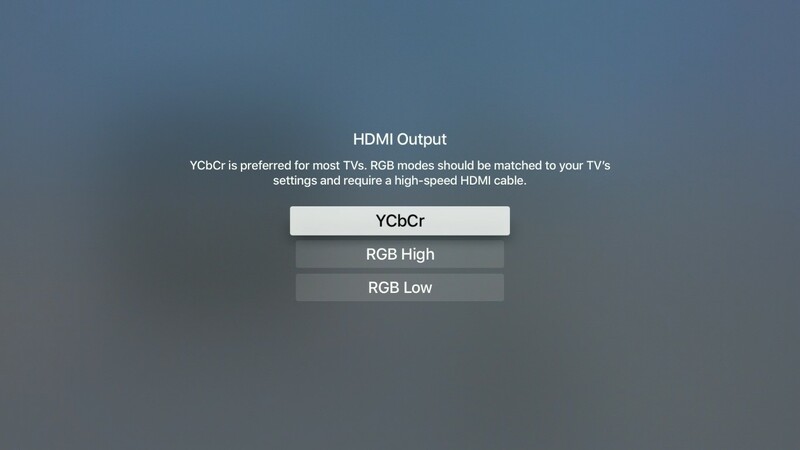 Apple TV 4K automatically detects if your TV set is HDR compatible or not and makes the required conversion on its own. 3D is not supported from the device. Dual band Wi-Fi performance was excellent since we could stream high bit-rate material (1080p Blu Ray backups) with no skipped frames or buffering issues. Make sure your access point is equally capable. 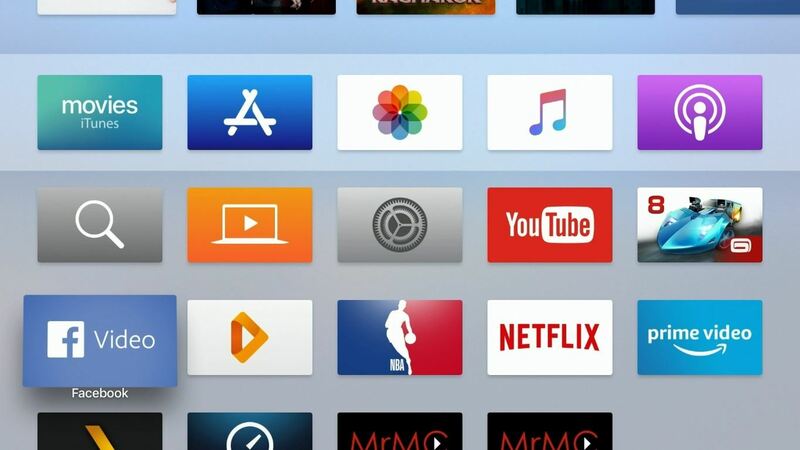 Overall, if Dolby Atmos and DTS X were supported (for locally stored files), Apple TV 4K would have been the best video player available today. There are rumors for Atmos support in the near future, but you can never be certain with Apple giving away free stuff. 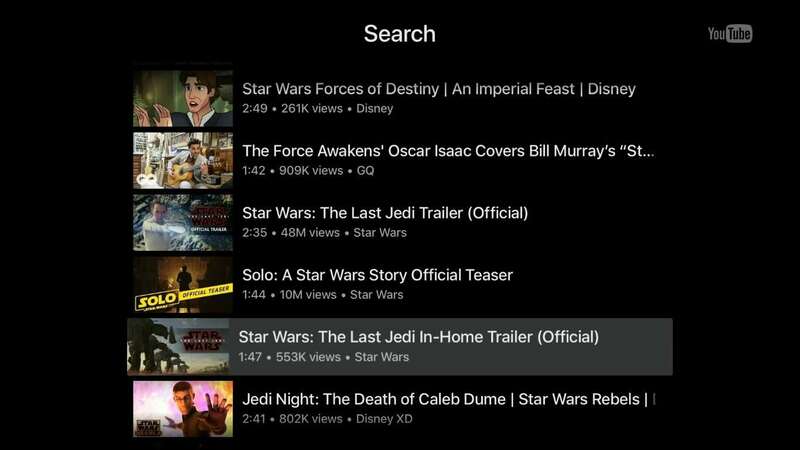 Apple TV 4K is advertised as an online streamer so its performance could be nothing short of stellar. You must keep in mind that monthly or yearly subscriptions are required for each major service. 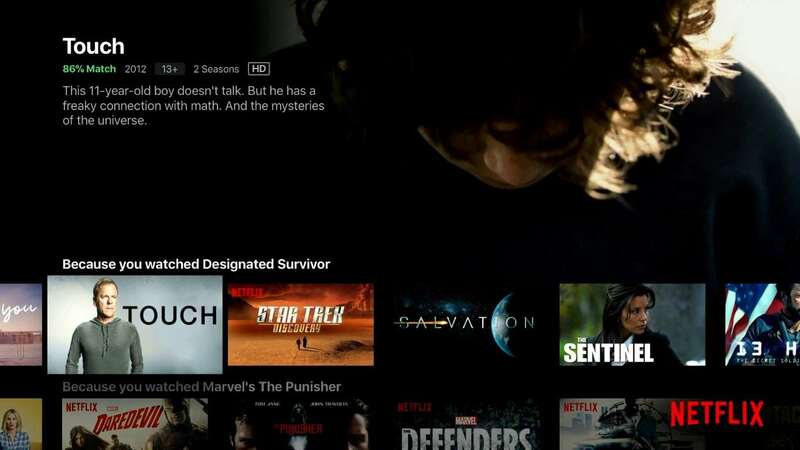 Apple Video service supports fully 4K with HDR content (Dolby Vision also, only where available), and 4K is also supported for Netflix and Amazon Video content. 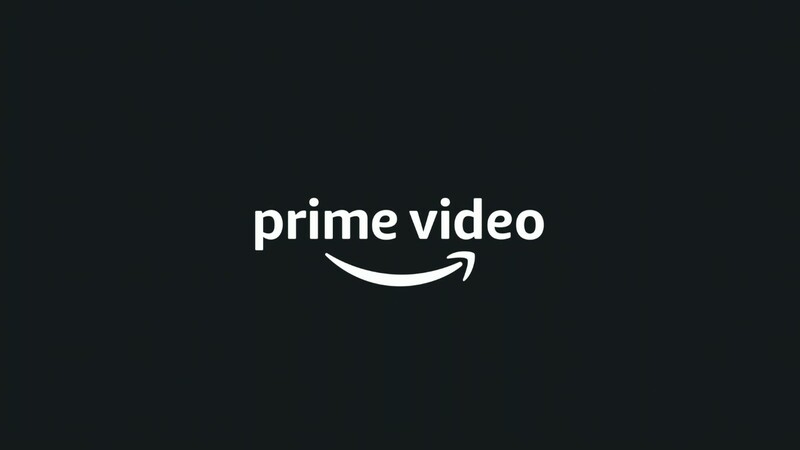 Compared to Amazon Video, the HDR version of the movie is automatically enabled while on Amazon’s application you must choose the correct HDR version of the movie (there is one version with and one without HDR support). 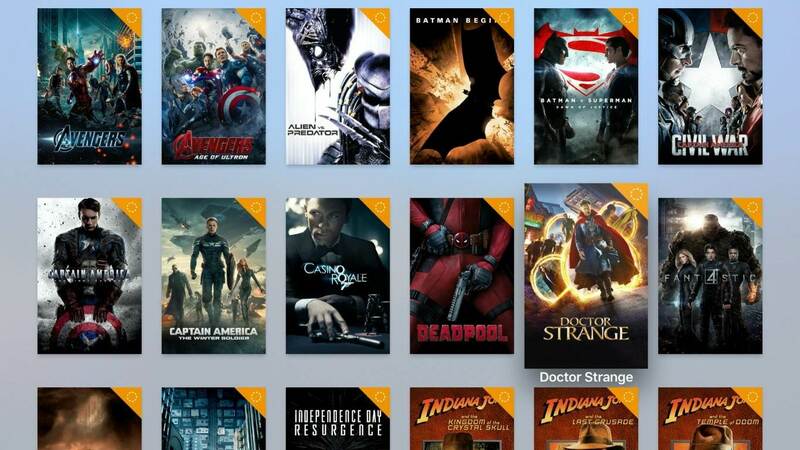 Furthermore, Apple made discounts so you can now enjoy the 4K experience at the same price (1080p). 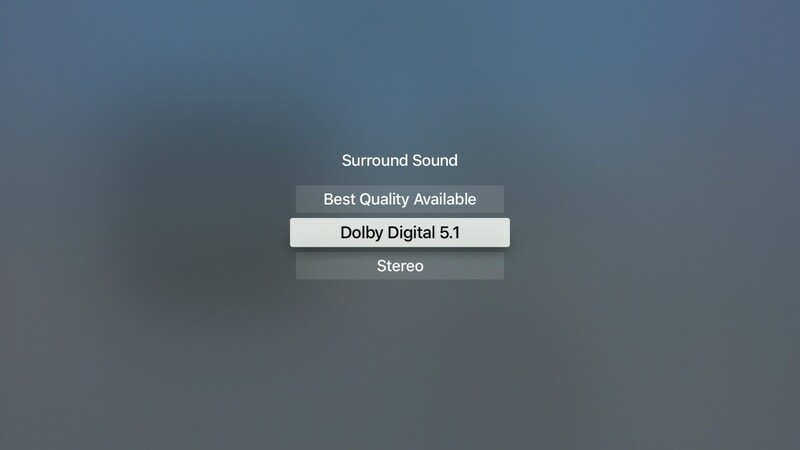 Dolby ATMOS pass-through was recently added via software update for all streaming services (where available). 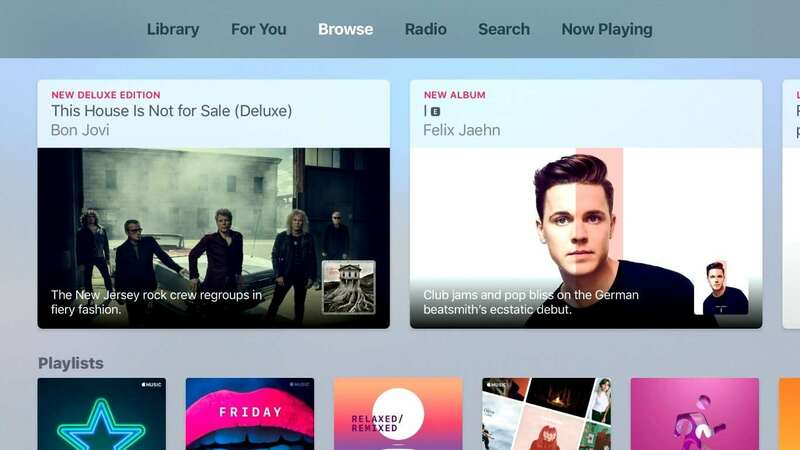 As expected, Apple Music also has excellent performance and perfect integration with your existing library. 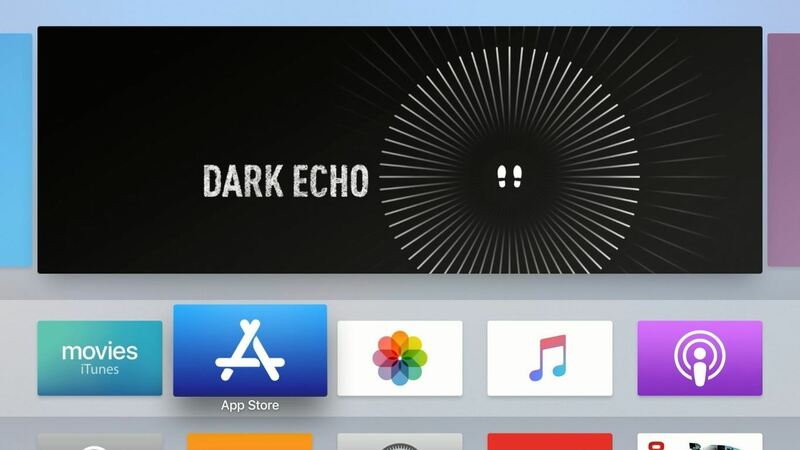 Unfortunately, a Spotify application is not an option for the Apple TV operating system (we believe it is not Apple’s decision or restriction). 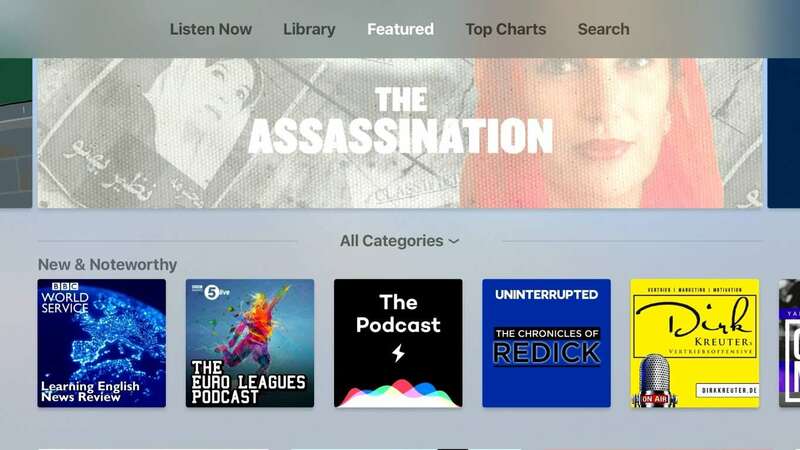 Tidal application recently launched and works well. 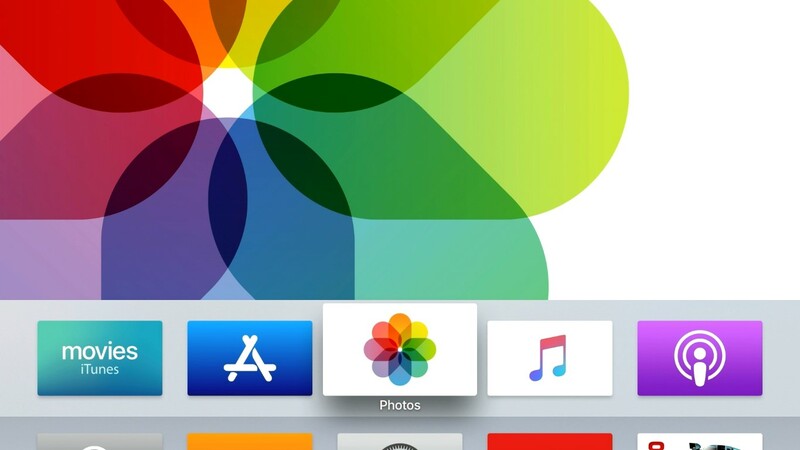 Apple Photos and Podcasts once again had perfect integration with the operating system and the rest of your Apple devices. 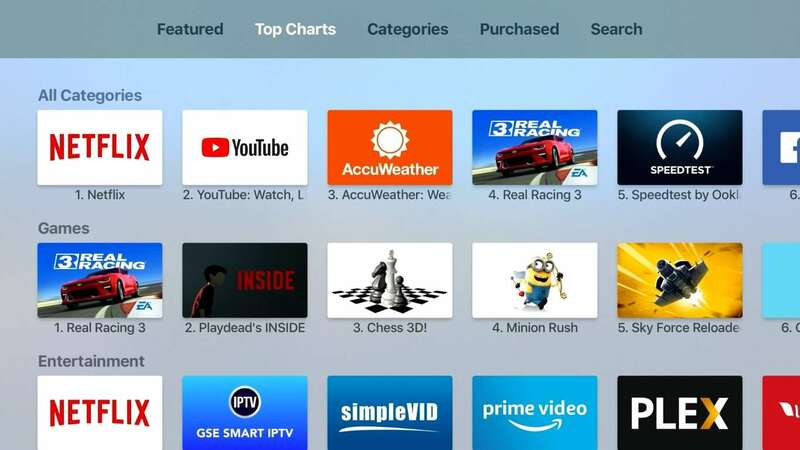 Gaming is a great experience with the Apple TV 4K. 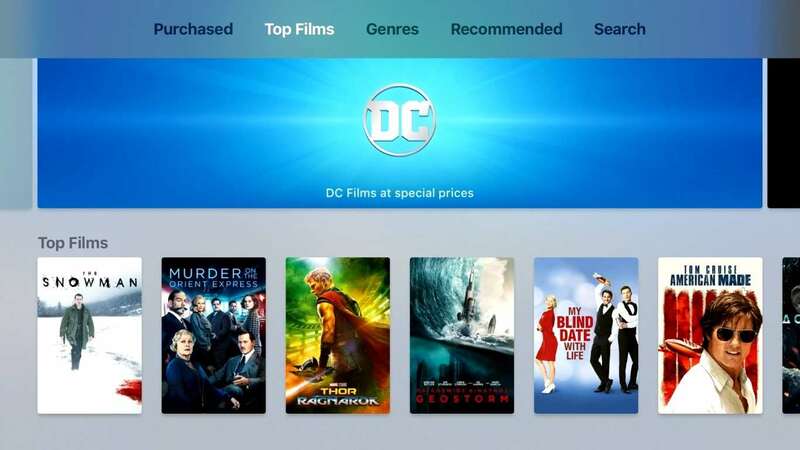 Almost all iPad and iPhone titles are also available here for your entertainment. Even the most demanding ones have really good performance. In case you have a 4K TV, it would be wiser to switch to 1080p resolution before launching a heavy 3D game. 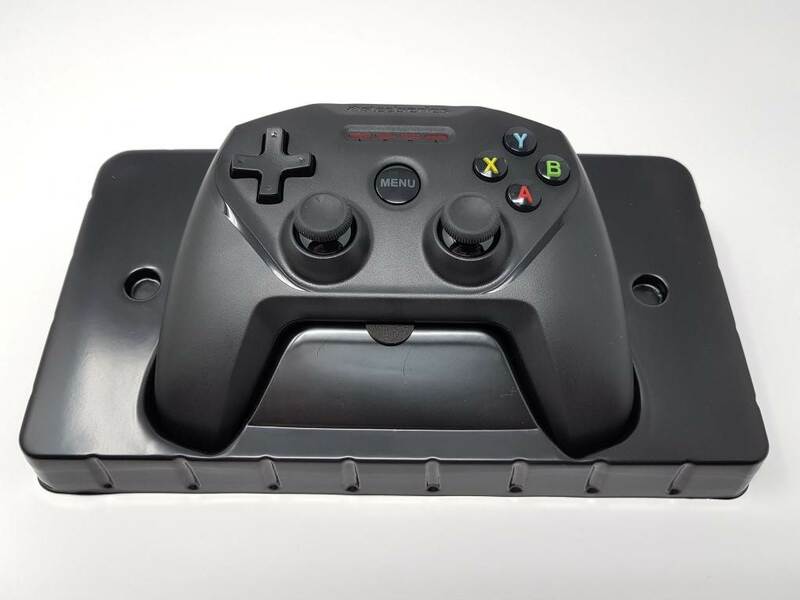 To achieve maximul level of entertainment, you should pair a BT gamepad. 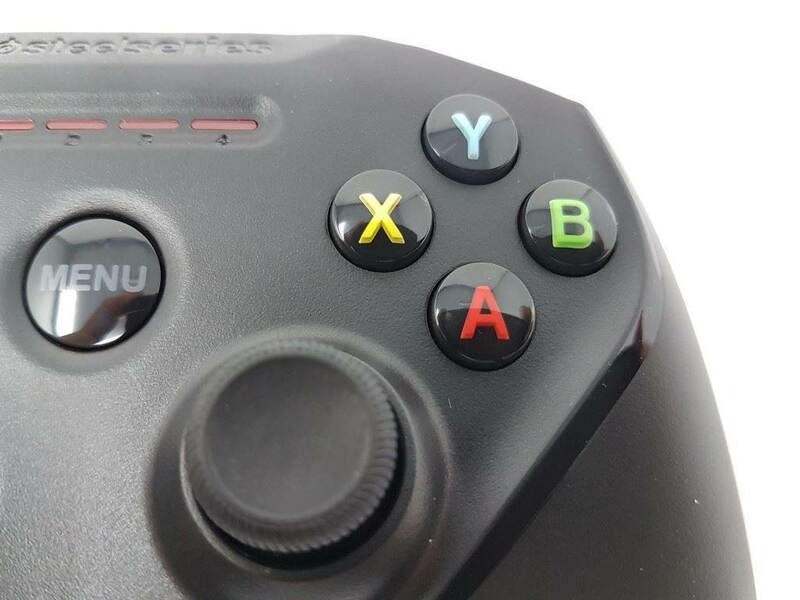 Our experience with the official solution (Nimbus wireless Controller) was stellar. 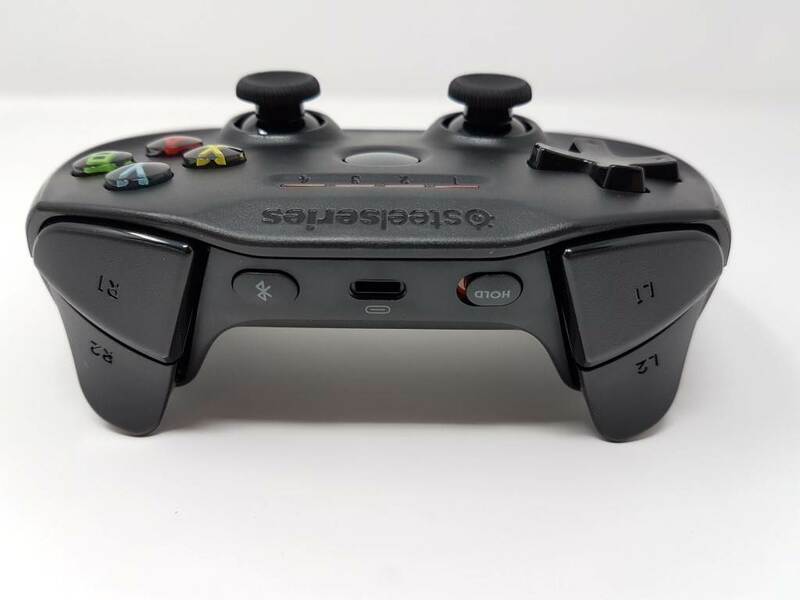 The specific gamepad’s quality and performance is equal to the equivalent ones found on Playstation and XBOX One gaming platforms. 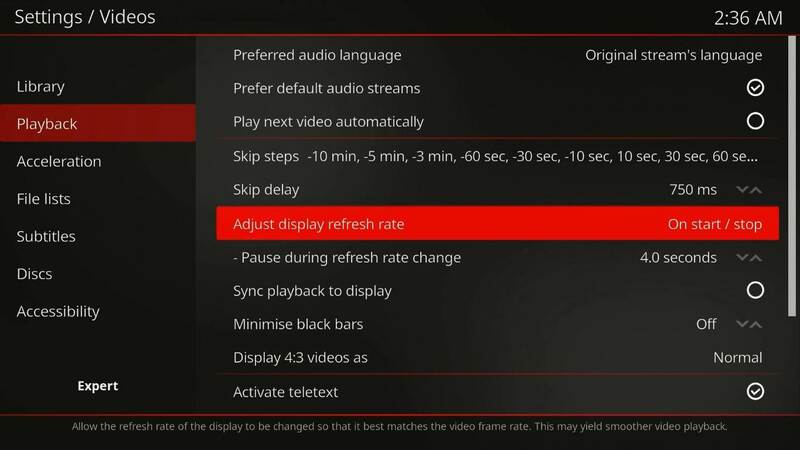 The only “letdown” (aside from the omission of a Spotify application) was the limitation of You-Tube playback to 1080p due to lack of hardware VP9 codec support. Definitely not a deal breaker for the majority of users but should be handled better for a branded and powerful device like this one. 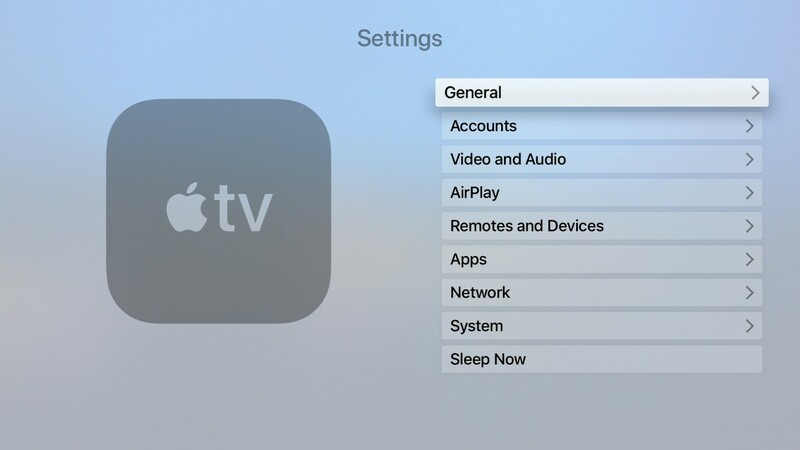 Apple’s TV OS is easily the best looking operating system available. 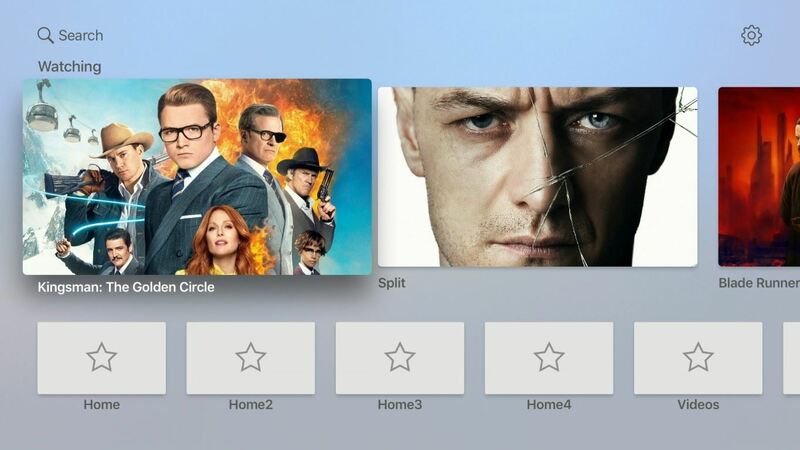 Android TV is also very special (with better integration with your Google account and preferences) but TV OS feels less crowded and definitely more polished / eye pleasing. The aerial screensaver (in 4K) is also astonishingly beautiful and unlike anything else out there. 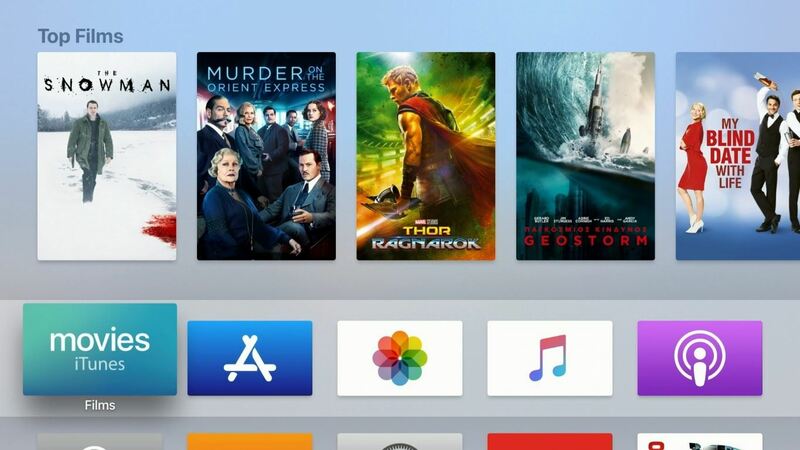 Apple’s huge applications list is available from the start (just enter your Apple account) and downloading applications and games to your storage space (~55GB available) is just one click away. Fusion A10X’s performance is blazing fast, and is comparable to desktop processors. This guaranties perfect and lag free performance of all applications and 3D games found in Apple Store. Siri and Airplay are of course supported for die hard Apple ecosystem fans. Apple can never be accused for lack of support. During our tests we received three major updates. Rest assured that your device will be supported for a long time. 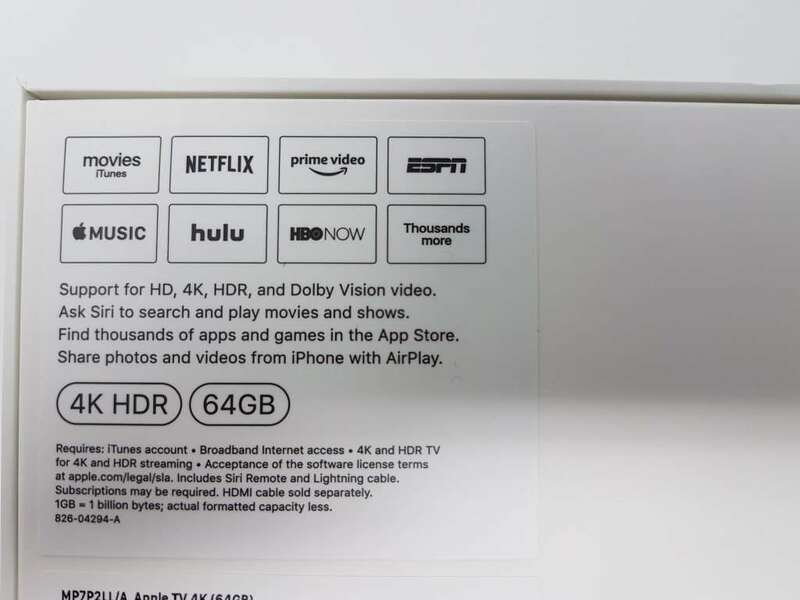 We initially believed that the Apple TV 4K would carry a lot of restrictions, especially for playback of content stored locally. 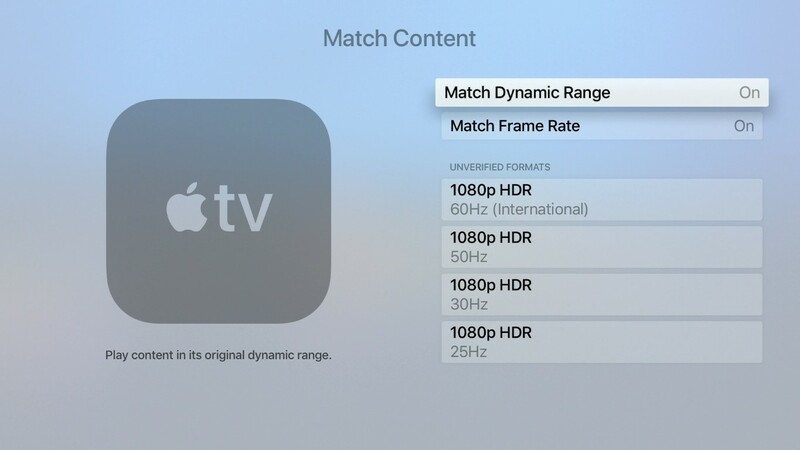 But we were happily put to shame by Apple TV 4K’s performance across the board. Both with local and streamed material, it showed exemplary performance. The only major omission is the lack of support for next generation audio codecs like Dolby Atmos and DTS X during playback of locally stored files. 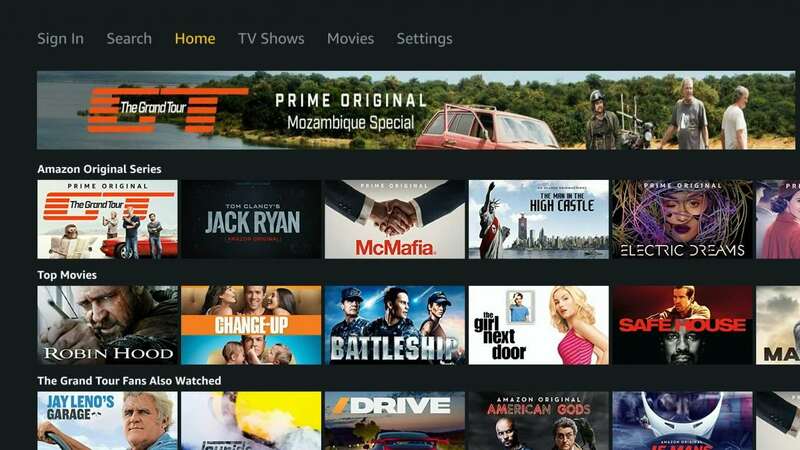 At least video performance is second to none with hassle free 4K playback, Dolby Vision support and auto frame rate capabilities not found anywhere else. 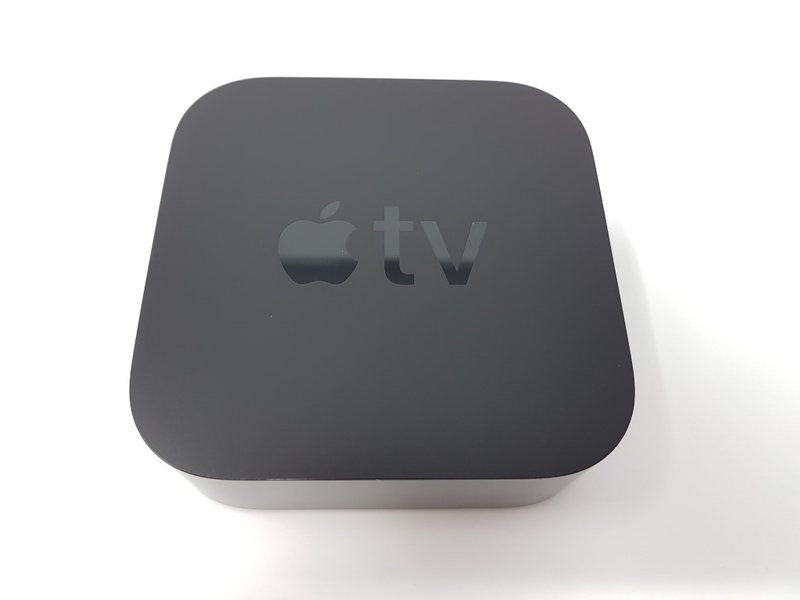 As an online streamer (which Apple TV 4K is mainly targeted), its performance was also excellent and the same is obviously the case for the integration with the rest of your Apple devices. 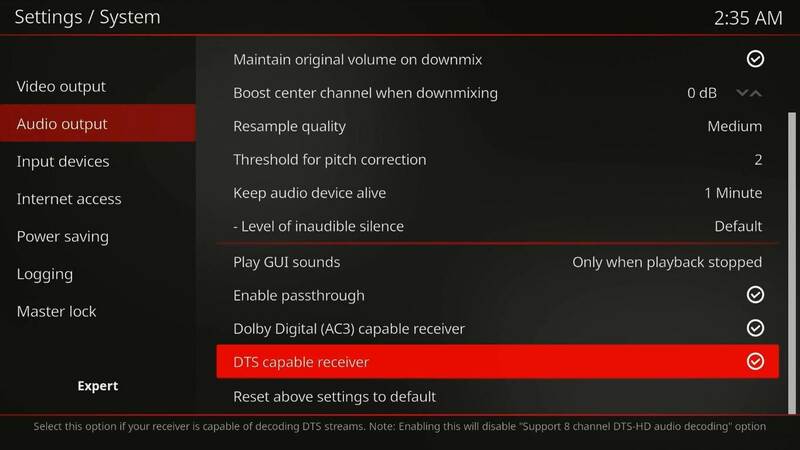 At least Dolby ATMOS is supported in streaming services. 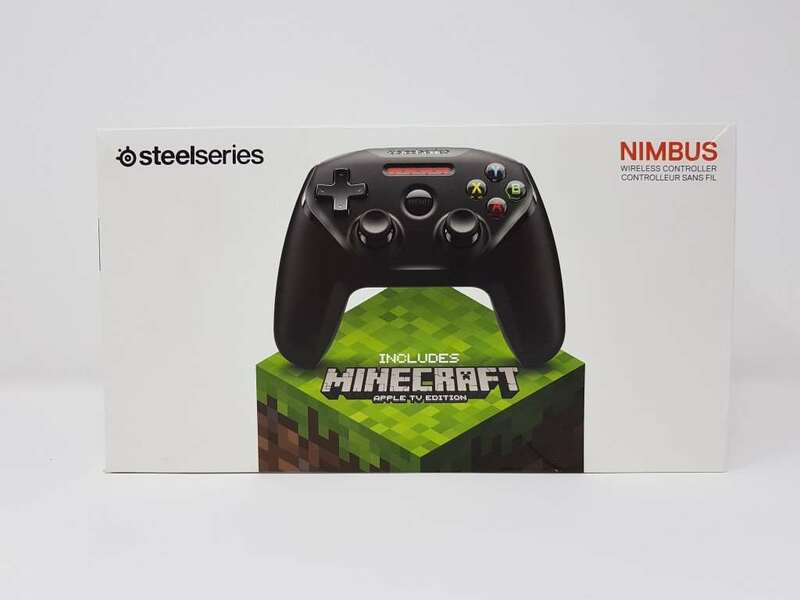 Its price point is heftier than the competition (NVidia Shield, Amazon Fire TV 4K) but is totally justified from the performance and specifications (CPU,RAM,ROM, Dolby Vision, excellent Wi-Fi, BT5.0). 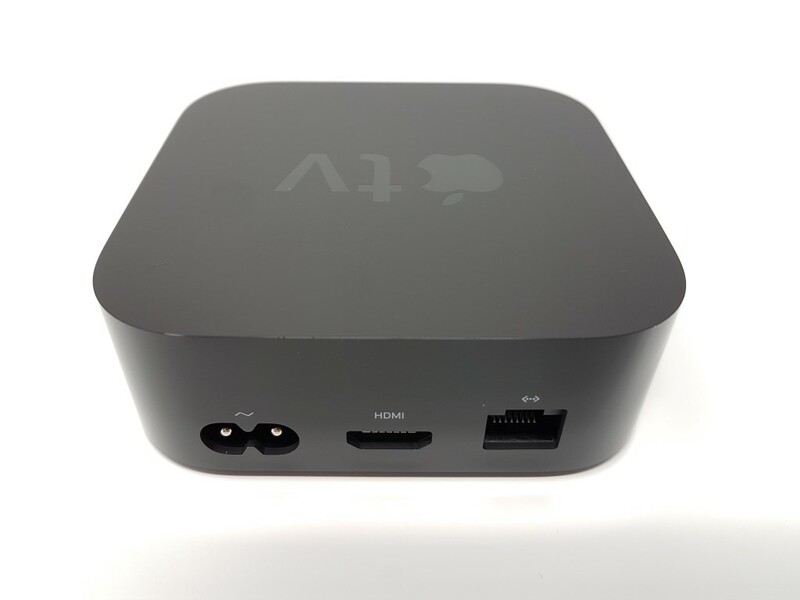 Overall, even if you are not a fan of Apple’s ecosystem you can’t be displeased with Apple TV 4K. 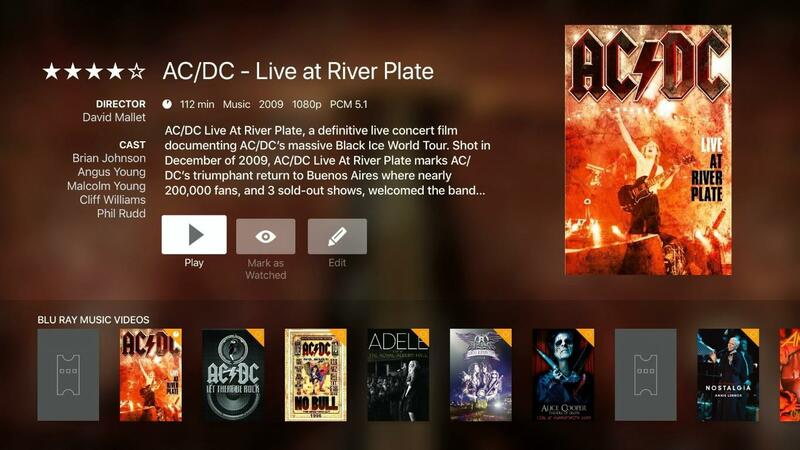 HD Audio pass-through aside, you will not find a better all around TV box.